The Southern Women’s Show salutes teachers and school staff for everything you contribute to our community. We’re offering free admission to teachers from pre-school to 12th grade for the entire show! School staff member or student teacher in training? You get free admission, too. Grab a friend, bring your school ID, and enjoy a full weekend of fun on us. We’re grateful for all you do. Join us Friday, August 23 from 4-7pm for a special Girls' Night Out. Grab your girlfriends and enjoy a glass of wine, awesome prizes, shopping and the firefighter fashion show all under one roof! Admission is $4 after 4pm. Happy hour doesn't get any happier than this! In the South and at the Southern Women’s Show, we know that great taste is mandatory. Southern chefs love Southern Biscuit’s All-Purpose Flour, Self-Rising Flour, and Biscuit Mix and now you can sample it at the show! All three days, taste delicious creations made with Southern Biscuit in exhibit space #934. Plus, be one of the first 100 in line on Mother Daughter Day Presented by Southern Biscuit and get a FREE picture frame! 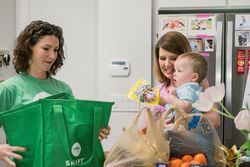 Meet Shipt, the same-day grocery delivery service making this idea a reality. 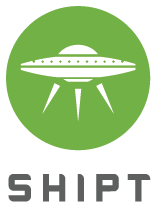 Shipt delivers groceries from stores you trust in as soon as an hour. Sounds great, right? Stock up on your all your favorites and put a little time back in your day. Swing by exhibit space 924, 926 at the show for free swag, a special discount, and to enter to win a year's worth of service plus $250 in free groceries. And don’t forget to be one of the first in line for Ladies Day Out, Delivered by Shipt, for your free reusable tote bag!